Ok, considering I only took about 20 pictures, this list isn’t all that exciting. I worked and didn’t go out Thursday or Friday and was sick on Saturday so I missed out on a TON of fun and I am really disappointed. 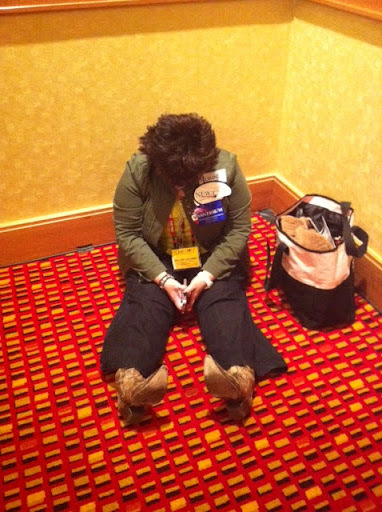 I miss CPAC already – can’t wait for 2013, in so many ways! Michelle Lancaster (@SkiGarmisch on Twitter) – and a Giants fan – Bradying over our choices for the GOP nominee. 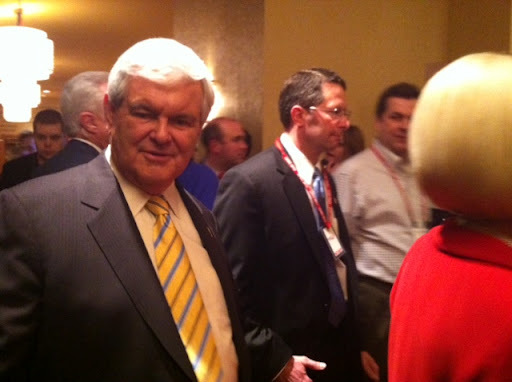 Newt looks right at me. And judges me. 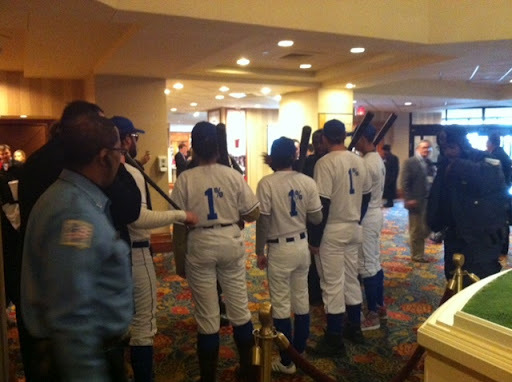 Occupy Protesters dressed up as the “1% Tax Dodgers” get kicked out of the hotel by security. 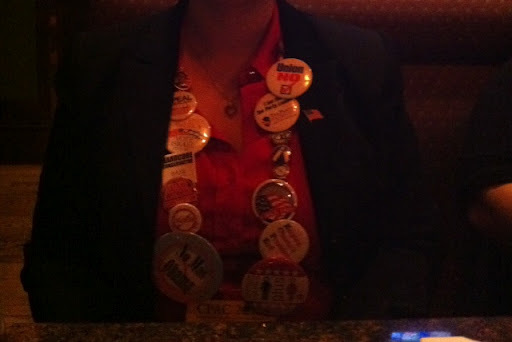 My 16 pieces of flair – I went above the bare minimum – that I collected from all the CPAC booths! 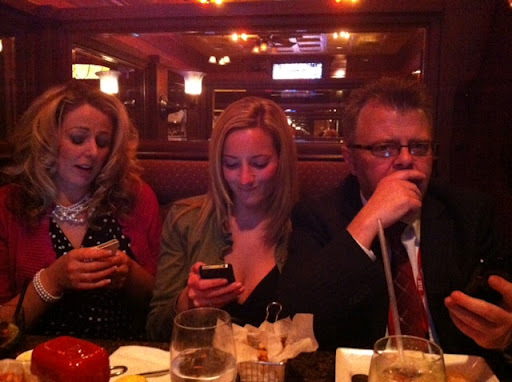 Kristina R. (@ORLibertyGal), April Gregory (@AprilDGregory), and Stephen F-ing Kruiser (@StephenKruiser) being social at dinner. I hope to redeem myself at Blog Con in April.